Japan is a civil law country influenced by Western legal models. 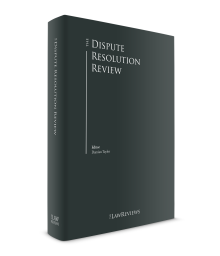 Litigation continues to be the most common dispute resolution mechanism, while various forms of alternative dispute resolution (ADR), including arbitration, have gradually become more popular in recent years. In Japan, legal professionals typically pursue one of three career paths as a judge, public prosecutor or attorney (in government, private practice or in-house). Applicants must pass the national bar examination and complete mandatory training for one year at the Legal Research and Training Institute governed by the Supreme Court of Japan. In 2004, Japan introduced a US-style post-graduate law school system and students who pass the 'preliminary bar examination' are deemed to graduate, and are qualified to sit for the national bar examination. Related legal professionals include patent attorneys, judicial scriveners and administrative scriveners. Judges are appointed by the Supreme Court for 10-year terms and selected from graduates of the Legal Research and Training Institute. Judges serve as associate judges for the first 10 years of their career, and from the sixth year they are allowed to manage a case alone. The 10-year term is usually continuously renewed until retirement. A jury system is not utilised in civil cases, although Japan introduced a lay-judge system for serious criminal cases in 2009. The Japanese court structure consists, in principle, of three tiers of civil courts: district courts, high courts and the Supreme Court. Summary courts have jurisdiction over cases where the amount in controversy does not exceed ¥1.4 million and civil conciliations (regardless of the amount in controversy). There is no split qualification in Japan, as exists for barristers and solicitors in the United Kingdom, and all attorneys may appear before the court. There are no added requirements for attorneys to appear before the higher courts. Patent attorneys may appear in certain categories of cases related to intellectual property (IP) (extra certification or joint representation with attorneys is needed, depending on the case). Judicial scriveners who are certified by the Ministry of Justice may appear before the summary courts. Civil cases are usually commenced at the district court as the court of first instance. The district court located at the place where the defendant resides or has its registered main office has personal jurisdiction over the case. Cases are administered by a single judge or a panel of three judges, depending on their nature and complexity. Some large district courts have special divisions or concentrated divisions for matters such as bankruptcy, administrative, labour, medical, commercial or IP claims. Parties who are not satisfied with the judgment rendered at the district court may file an appeal to the regional high court. In 2005, the IP High Court, a court specialising in intellectual property cases, was established in Tokyo. Regardless of the territorial jurisdiction of the applicable court of first instance, an appeal of a judgment rendered at the court of first instance involving IP is brought to this specialist court. Further, cases involving the revocation of decisions issued by the Patent Office are handled by the IP High Court. The most common form of ADR in Japan is the civil conciliation procedure at summary courts under the Civil Conciliation Act.2 Three conciliators appointed by the court consisting of a judge and two part-time conciliators (not necessarily attorneys) administer the conciliation procedure. Even after the commencement of the litigation, the court may, if it considers it appropriate, transfer the case to the conciliation procedure. Further, civil conciliation may be required by laws in advance of the commencement of the litigation in certain areas of disputes, such as those concerning the Act on Land and Building Leases. Other forms of ADR are explained in Section VI. In this case, after the chairperson – who belonged to the Singapore office of an international law firm – was appointed as an arbitrator of the case, another attorney, who had been retained by the subsidiary of a party as the counsel of a case that was not related to the arbitration, moved to the San Francisco office of the same international law firm. The tribunal rendered the arbitral award without disclosing the lateral transfer of the attorney to the international firm to which the chairperson belonged. The Supreme Court held that the arbitrator's abstract statement that potential conflicts of interest could arise in the future (advance waiver) was not sufficient to exempt the arbitrator from his or her ongoing duty to disclose facts that are 'likely to give rise to doubts as to his or her impartiality or independence' under the Arbitration Act.4 The Supreme Court further held that, in order to find that the arbitrator violated his or her ongoing disclosure obligation, the arbitrator must have been aware of such facts, or he or she should have been able to be aware of the facts by conducting an inspection of reasonable scope. The Supreme Court remanded the case to the Osaka High Court, stating that it was not clear whether the chairperson was aware of the lateral transfer of the attorney before rendering the arbitral award and that the operation of the conflict-check system of the international law firm to which the chairperson belonged was also unclear. This is the first Supreme Court decision in which it ruled on the interpretation of the arbitrator's disclosure obligation under the Arbitration Act that came into force in 2004. This decision is important for practitioners who are involved in international commercial disputes and law firms that run conflict checks on a regular basis. Litigation is commenced by the plaintiff's submission of a written complaint to the court specifying the relief sought and factual grounds for the claim. After the court's review of the submitted written complaint from a technical point of view, it serves a copy of the complaint with a summons on the defendant and requests the defendant to submit the answer. If the defendant fails to submit the answer before the date of the first oral hearing without appearance, it is deemed to admit the factual grounds alleged by the plaintiff in the written complaint. In other words, if the alleged facts in a written complaint are insufficient to satisfy the requirement for the legal claim, even if the defendant fails to respond, a default judgment that awards the full extent of the plaintiff's relief sought will not be rendered. The court may hold oral hearings or preparatory meetings in order to identify the factual and legal issues, and the evidence required. In Japan, oral hearings or preparatory meetings are non-consecutive and usually held about once a month. In cases where the parties live far away from the court, the court may hold preparatory meetings via telephone conference. Court procedure in Japan basically follows the adversarial system. On the other hand, judges often actively manage the cases, and encourage the parties to submit further evidence and even to reach settlement. The jury system does not exist in civil cases and professional judges examine the substance and credibility of evidence. Therefore, the rules of evidence are not complex and in general any evidence is admissible. The court has discretion to determine the necessity of the review of evidence submitted by the parties including adoption of witnesses. The judges tend to put less value on the testimony of a witness than documentary evidence. Therefore, although it depends on the nature of a case, the court is relatively strict about allowing a large number of witnesses for examination at the hearing. The average duration at the district court (the court of first instance) from the commencement to the end of a civil case was 8.6 months (which was 17.3 months in 1973, 13.4 months in 1983 and 12.9 months in 1990). Cases lasting six months or less accounted for 57.1 per cent of the total, while those requiring two years or more accounted for 5.8 per cent. Cases lasting over five years represented only 0.2 per cent. Of the cases concluded in 2016, 41.4 per cent ended in a court-issued judgment (60 per cent of which were rendered with the defendant's appearance), 35.8 per cent reached settlement in court, and in 16 per cent, the action was withdrawn (6.8 per cent were categorised as 'other'). The average duration of the cases that ended in a court-issued judgment with the defendant's appearance was 12.9 months. The average number of court hearings or preparatory meetings was 4.7. Witness examinations occurred in 14.6 per cent of cases. The average number of examined witnesses was 0.9 for witnesses and 1.8 for parties. Of the cases ending in a court-issued judgment, 21.5 per cent were appealed. A provisional attachment order is an order to freeze the respondent's identified assets, such as bank deposits and registered real estate, in order to secure enforcement of a future monetary judgment. This order is usually issued by the court after the claimant's ex parte meeting with the judge. A provisional order preserving property is an order to temporarily prohibit the transfer of the possession or ownership of property that is the subject of the claim. This order is also usually issued by the court after the claimant's ex parte meeting with the judge. Provisional orders preserving the status quo of the relationship between the parties (e.g., the labour relationship between the employer and the employee who has been allegedly discharged). This order may be issued only after holding a meeting with judge at which the respondent is given the chance to attend. As above, some categories of interim measures can be issued via ex parte review by the judge when the claimant can establish a prima facie case of the provisional relief sought. This does not necessarily mean that such provisional relief is freely granted because the claimant must prima facie prove the significant difficulty of future compulsory execution, or significant damage or imminent harm to the claimant, and the judge always considers possible counterarguments by the respondent. The court usually requires the claimant to provide a monetary deposit in advance of the issuance of the provisional order to cover possible damage to the respondent. The court limits the scope of the order only to the extent necessary to cover the claimant's claim or status. For example, a provisional attachment order on the respondent's bank deposits is allowed only where the claimant prima facie establishes that the respondent does not own non-pledged real estate assets, because courts are cautious in allowing provisional attachment on liquid assets. In December 2013, the Act on Special Measures Concerning Civil Court Proceedings for the Collective Redress for Property Damage Incurred by Consumers was enacted8 and came into effect from 1 October 2016. The Act establishes a new lawsuit system (the Collective Recovery System) that allows for a single collective action for compensation for damage by many consumers against a business operator. Thus, this is ostensibly a class action system in Japan. However, it is quite different from the class action system in the United States. Collective actions are limited to certain categories of monetary claims by consumers against a business operator.10 Lost profit damages, damages based on harm to the life or body of a human and damages based on emotional distress may not be claimed under this collective action. Punitive damages are also prohibited. The Collective Recovery System adopts a two-step, opt-in system. As a first step, an SQCO must seek a declaratory judgment on liability issues that are common between a business operator and consumers (an action for common obligations). The consumers cannot intervene in the action for common obligations raised by the SQCO. After obtaining the court's declaratory judgment, the SQCO commences an action to claim damages against the business operator on behalf of the consumers who hold claims for monetary payments against the business operator who was found to be liable under the declaratory judgment. The SQCO must then provide notice of the commencement of the second step to the known individual consumers and publicly announce the same to those who are unknown to the SQCO by official gazette. Consumers may then opt in to the collective action. Representation by an attorney is not mandatory in any kind of court proceeding in Japan. The representative person of the legal entity (who must register in the corporate registration under relevant laws) may appear to the court on behalf of the legal entity. Summary courts permit non-attorney representation. While important judicial documents such as written complaints must be delivered as 'service' by the means listed in points (a) to (g) under Articles 108 and 110 of the Code of Civil Procedure,11 judicial documents that are not required to be delivered via service may be delivered via courier. the courts of the relevant foreign country provide reciprocal recognition of Japanese judgments. If all of the above requirements are met, the foreign judgment will be effective and enforceable in Japan. The Japanese court does not review the foreign judgment on its merits. The Supreme Court has refused enforcement of a judgment that ordered payment of punitive damages on the ground that it was against public policy in Japan (see point (c) above). Any person may review the record of a case including pleadings and evidence, except for records that are subject to a confidentiality order. The right to obtain a copy of the record is limited to the parties to the case and third parties with a legal interest in the case. The court may restrict access to the record if it would be detrimental to preservation of the record or performance of the court's duties. 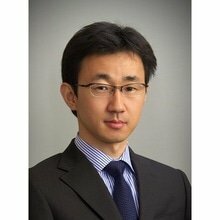 Litigation funding is not common in Japan, although some practitioners have begun discussions on this issue. The Japan Legal Support Centre provides legal aid (advance payment) to economically disadvantage persons. This is largely irrelevant to international commercial disputes because aid may not be provided to legal entities, although it is open to legally domiciled foreign nationals in Japan. The Attorney Act13 sets forth the rules on conflicts of interests of attorneys. Basic Rules on Duties of Practicing Attorneys, issued by the Japan Federation of Bar Associations, also set forth the rules on conflicts of interest. Depending on the nature of conflicts of interest, an attorney may be able to take on a certain case if he or she obtains the client's approval. A Chinese wall may, depending of the nature of the wall and the case, be regarded as one factor that the attorney belonging to a firm may use to assert that he or she can maintain impartiality. The Japan Federation of Bar Associations amended the Rules Concerning Client Identity Verification and Record Preservation, Etc.14 on 8 December 2017. Under these rules, an attorney is required to confirm the identification of the client with an identification card or certificate of corporate registration if he or she is requested by the client to manage the client's money or receives a deposit for not less than ¥2 million; or he or she is involved in certain categories of the client's transactions such as sales of real estate or corporate M&A. Receiving a deposit for the purpose of court proceedings, such as a filing fee or remittance of the settlement payment, and management activities as a bankruptcy trustee or an executor or the testator's will, etc., are exempted from such obligation. The Act on the Protection of Personal Information,15 the Act on the Protection of Personal Information Held by Administrative Organs16 and the Act on the Protection of Personal Information Held by Incorporated Administrative Agencies, etc.17 regulate the protection of personal information held by private sectors and governmental organisations. Pursuant to the Attorney Act, an attorney may, through the bar association to which he or she belongs, make enquiries to a public or private organisation related to the case to which the attorney has been retained. The public or private organisation may, in response to this enquiry based on the Attorney Act, disclose the requested personal information without obtaining advance consent of the principal. Further, under the Family Registry Act18 and the Act for Basic Register of Residents,19 certain professionals, including attorneys, are allowed to obtain the certificate of family registration and resident record related to the case to which the attorney has been retained. Attorneys who divulge the personal information to a third party or use the obtained personal information for purposes other than grounds for obtaining such personal information could be subject to disciplinary action. The common law concept of attorney–client privilege is not recognised under Japanese law. However, attorneys have an obligation to keep secret information obtained in confidence in the course of their professional duties under the Attorney Act. Therefore, attorneys have the right to refuse to testify at court and are thus exempted from the disclosure obligation under the Code of Civil Procedure. Further, as explained in Section V.ii, documents that are created solely for the purpose of the holder's internal use are exempted from production in a civil case. Thus, the communication between the attorney and his or her client can be kept confidential to a similar extent as in common law jurisdictions in civil cases. public officials' documents, the disclosure of which would cause harm to the public. the cause of the obligation of disclosure of the document. If it would be extremely difficult to disclose the documents, the requesting party is alternatively allowed to present only 'matters by which the holder of the document can identify the document pertaining to the petition'. If the other party of the case fails to comply with the court's order to produce the document, the court can make a negative inference of fact in favour of the requesting party. If the third party refuses to produce the documents ignoring the court's order, the possible sanction under the Code of Civil Procedure is an administrative fine of no more than ¥200,000. The court's order to produce the document is subject to an immediate appeal to the higher court. Because the court proceeding on the merits of the case would be essentially suspended during the period of the appellate court's review of the immediate appeal, depending on the nature of the application and likelihood of success, the court sometimes suggests that the requesting party limit the scope of the requested documents and that the other party voluntarily produces the entirety or a part of the requested documents. The Arbitration Act was enacted in August 2003 and came into force in March 2004. This Arbitration Act is applicable to arbitral proceedings whose place of arbitration is in Japan. The Arbitration Act generally adopts the UNCITRAL Model Law (prior to its 2006 amendment) with some deviations. The JCAA is most frequently used for commercial arbitrations in Japan. The JCAA accepts approximately 20 new cases per year. The Tokyo Maritime Arbitration Commission of the Japan Shipping Exchange Inc (TOMAC) is commonly used for maritime arbitrations. TOMAC accepts approximately 10 new cases per year. There are several other arbitration institutions in Japan, including in the areas of IP and construction. In recent years, Japanese corporations have gradually become familiar with international arbitration and the number of international arbitrations in which Japanese corporations are involved has seemingly increased. The parties to an arbitration are not allowed to file an appeal to request a review of the arbitral award. Alternatively, the parties are entitled to file a petition for setting aside the arbitral award to the court. The grounds for setting aside an arbitral award are set forth in the Arbitration Act, which are substantially the same as those set out in the UNCITRAL Model Law. Under the Arbitration Act, the grounds for setting aside are basically limited to the procedural defect of the arbitration proceeding, such that the arbitration agreement is not valid, that the party was not given the chance to appear before the tribunal and that the composition of the arbitral tribunal or the arbitral proceedings were not in accordance with the provisions of the laws. 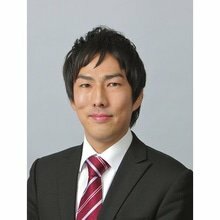 In other words, a defect in the arbitral award with respect to the merits of the case does not constitute grounds for setting aside the arbitral award unless it amounts to violation of public policy in Japan. Incorrect application of substantive law or disregard of applicable law itself is not sufficient for setting aside the arbitral award. Further, the court has discretion not to set aside the arbitral award even if it had grounds for setting it aside. In this regard, the standard of the judicial review on the merits of a case is deferential to the arbitral award. The party must file a petition for setting aside the arbitral award to the court within three months of the date of the receipt of the copy of the arbitral award. The court must hold at least one hearing before rendering its decision. A party may file a petition for enforcement of the arbitral award to the court. A copy of the arbitral award, which must be identical to the arbitral award, and a Japanese translation of the arbitral award must be submitted in conjunction with the petition for the enforcement. The standard for review and grounds for recognition and enforcement are substantially the same as those contained in the UNCITRAL Model Law. Japan is a signatory to the 1958 New York Convention subject to the reciprocity reservation. In addition, Japan is also a signatory to the Geneva Convention on the Execution of Foreign Arbitral Awards. Further, Japan has bilateral treaties with multiple countries. These treaties guarantee the enforcement in Japan of arbitral awards made in other treaty countries. filing for arbitration, moving to a mediation proceeding, but if the parties fail to reach a settlement, then moving back to the arbitration proceeding (arb-med (-arb)), etc. The Act on Promotion of Use of Alternative Dispute Resolution21 was enacted in 2007 as a basic law concerning ADR. Since then, civil dispute settlement procedures that do not rely on the courts have been rapidly expanding. With respect to financial instruments, the Financial ADR System was adopted on 1 October 2010 to facilitate disputes between customer and financial business operators. Commencement of the designated dispute resolution organisation's procedures has the effect of a bar to the statute of limitations. If a lawsuit is filed within one month of the termination of the procedures of the Financial ADR System owing to failure of mediation, the statute of limitation shall be deemed to have been barred at the time of the filing of the petition to the Financial ADR System. file a lawsuit with the court. Bar associations organise various forms of ADR including mediation and arbitration. There are multiple ADR centres specialised for particular areas such as the Japan Intellectual Property Arbitration Centre and Council for Construction Disputes. 1 Tsuyoshi Suzuki is a partner, and Suguru Shigematsu and Naoko Takekawa are associates, at Momo-o, Matsuo & Namba. 2 Act No. 222 of 9 June 1951. 3 Decision of the Supreme Court dated 12 December 2017, Minshu Vol. 71, No. 10, page 2,106. 4 Act No. 138 of 1 August 2003. 5 Act No. 107 of 16 July 2003. 6 The 7th Report Regarding Observation of the Expediting of Trials. 7 Act No. 91 of 22 December 1989. 8 Act No. 96 of 11 December 2013. 10 Possible claims are limited to (1) performance of contractual obligation of the contract executed between a consumer and a business operator (the Consumer Contract); (2) unjust enrichment of the Consumer Contract; (3) breach of contract under the Consumer Contract; (4) damages based on a warranty against defects; and (5) damages based on a tort (limited to a claim based on the provisions of the Civil Code). 11 Act No. 109 of 26 June 1996. 12 Act No. 4 of 30 March 1979. 13 Act No. 205 of 10 June 1949. 15 Act No. 57 of 30 May 2003. 16 Act No. 58 of 30 May 2003. 17 Act No. 59 of 30 May 2003. 18 Act No. 224 of 22 December 1947. 19 Act No. 81 of 25 July 1967. 21 Act No. 151 of 1 December 2004. 22 Act No. 147 of 17 June 1961. 23 Decision of Tokyo High Court dated 1 August 2018, the Financial and Business Law Precedents No. 1,551, page 13.